At the time of the mid 80’s when I was a child, we were living out of our town, Medellín, because of job-related issues of my father, an honest hard worker likewise other antioqueños. We eagerly expected coming back on vacations, so going back to the place we born, to our lovely city which by this time were already facing up to a shady-misty water flows propelled by obscure forces that were plunged it throughout a dark-cold hole. 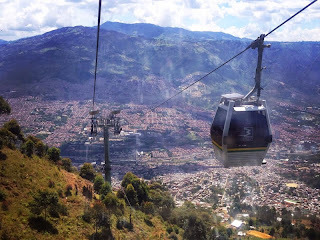 Nonetheless, in spite of the concerns my parents could have overwhelmed by such situation, we never gave up since loving Medellín were bulkier than fear. We took the motorway upon a journey roughly 8 hours long. I remember my brother was on the age where the common question “are we almost done here?” popped up prior to the first hour of travel. Although we enjoyed the trip, expectation of reaching our town increased every minute. Thereby when we finally gaze upon the Valley of Aburrá surrounded by its splendid green mountains welcoming us, happiness and something we have called “orgullo paisa” thrived big. At that very moment Mom and Dad knew they had to turn on the anthem, not the institutional one but the emotional one which bound on these hard days and still convening the Medellín’s collective spirit. It was a song this city, social system or “living organism” named Medellín spread out onto the consciousness of those who did not turn back notwithstanding difficulties and whose audacity encouraged not only to sing it but also living it as a philosophy denominated “I love Medellín”. Since last year when Medellín got the prize as the most innovative over the world, the communication of this philosophy took a new breath. Now after the successful Seventh World Urban Forum (WUF7) of United Nations (UN), one of the most meaningful events had fulfilled in Colombia and certainly the most valuable for the City hitherto, loving Medellín has largely consolidated because of the exemplar synergetic model of work both the local government, its private corporations, and academy, set up from those complicated moments, as well as the systematic approach from last administrations, and as the anthem declares, because of the love of several Medellinenses have demonstrated by their land. As Jorge Orlando Melo states (Semana, 2014), the industrial growth decentralization suffered by Antioquia at the mid 50’s triggered a severe social crisis. Urban growth turned out unstable due to the forced displacement over rural areas. Furthermore, since agriculture was not providing the expected outcomes. The Church “which had taken charge of the discipline and honesty of the citizens”, lost control. Thus Medellín became in “the sin city” conveying prostitution, drug traffic and homicide. By the last decade of 20th century Medellín underwent an unfortunate reputation as the most violent all over the world (Semana, 2014). It was the time of some people likewise creative and innovative yet for evilness. According to some reflections from Juan Luis Mejía, the topic “easy money” is not as accurate as “illicit money” to describe the incomes thrived in our land for these days. Earning it was not easy at all yet those “criminal masterminds” came up with ideas to get it. In consequence, drug-trafficking biased the culture. As Jorge Orlando Melo emphasize, “Mothers educated their sons based on the sermon of Horace, the roman poet: ‘Make money, money by fair means if you can, if not, but any means money’.” (Semana, 2014: 17) Nonetheless, in spite of the undeniable performance of some corrupt cells which allowed such infections up, the immune system withstood this social illness because of those innovative good persons that imposed regulations over, and propelled right public administration practices. Therefore, they avoided in this manner prominent corporations from Antioquia were contaminated (Semana, 2014). It was the seed began to flourishing as the principal social spheres were encouraged together the renascence of Medellín. “In the hardest moments Medellín lived 25 years ago what kept us right was the collective conversation” declared Claudia Restrepo Montoya, the Education Deputy Mayor of the City, in one of the dialogs from the 7th World Urban Forum (WUF7). “We did not give up… we stayed in Medellín despite difficulties… instead we were willing to find the north of the City, its vision.” Well-know Antioquia’s business leaders expressed this way supported by the local government in one of the fruitful Forum’s talks. Moreover they underlined both Proantioquia and “Medellín, what’s going on?” as main keys for assembling systematic work among the governmental, private, and educational areas upon a common aim: Welfare State. Accordingly, one of the lots of voices came from the universal consciousness visited Medellín these days said: “What we did was make sure to hear the City awareness; we knew the way of thinking on it.” Thereby Medellín could achieve the accolade as the most innovative all over the world, chiefly because of the meaningful creativeness which allowed the recovering of this resilient city. To explaining the turn of 180° Medellín had early at the present century, it is due to highlight the attempts of other passionate innovator, a mathematician who not only with pencil and paper began to resolve City problems but putting into practice formulas that bring it forward on the way to social innovation. First analysis Professor Sergio Fajardo did, resided in the necessity of getting involved in government affairs to face up to politicking. Consequently, he and a cabinet made up by other 50 enthusiastic less-known personalities on the politic field yet bulk recognition over corporative, academic and social realms, were committed to arranging an independent civic gather for taking Medellín on their hands. According to Fajardo, upon politics are taken the most important decisions of a society (Bedoya, 2013 – Fajardo, 2008). “All of us reached a conclusion: consistently we have been talking about what is due as another people are taking decisions for us” (Bedoya, 2013). Thus, by the time of 2003’s elections -led by the mathematician- they finally shifted such paradigm for the wellness of the City. Thereafter the new government wave began boosting the formula for diminishing the 2 most overwhelming issues Medellín had underwent until that moment: violence and social inequity. To reducing violence the Mayor applied a basic equation he called “take off and on”: take off brutality and take on opportunities, that is, gradually close the doors to the violence to opening spaces for social development based on equity, where education was the principal input. This thought was translated into the essential promise of Fajardo’s administration: “Medellín, from fear to hope” (Fajardo, 2008), where fear = mayhem, and hope = chances of social fairness. Eventually, emerged the valuable catalyst of it: “Medellín, the most educated” which pointed out the reinforcement of public education, the generation of places for knowledge, the construction of integral urban projects, and the drive of an entrepreneurial culture. These strategic pillars mostly supported the poorest urban areas and their people. Alike a kid when is explaining his new doll to other boys, professor Fajardo expose to an amazed audience the design of one of the park libraries named “España” (Spain) which was built on the most unprivileged and violent slum of the City. Subsequently, this structure won the price as the most prominent architectonic award from Iberoamérica among 2004 and 2006 (Bedoya, 2013). It is just an example (among many additional ones) from the common denominator whereby Medellín was recognized as the most innovative all over the world, mainly because of its lateral thinking for recovering marginal areas. The factor is: Honest people working hard to avoiding corruption. Paisas conventionally said: “We need to go out from these mountains to undergoing the world”. However, since we were designated as the host city for developing the 7th World Urban Forum (WUF7), what we did was bringing the world to us. By this time Medellín was the capital of the world. “We felt very proud of being paisas during a week.” Said Joan Clos, the executive director of UN-Habitat, who additionally pointed out this assemble as the best of all performed hitherto (WUF7, 2014). Throughout the Forum further than 20.000 people of whom 8.000 were foreign (semana.com, 2014), convened in Medellín to conversing and sharing acquaintances with urban, social, political, and economical issues thus encouraging future changes mainly related to social justice over cities around the world (the big common global issue). Cities for life was the call to action of this remarkable event Medellín could achieve because of the eager attitude of the local government supported by the National Ministry of Housing, in charge of the Mayor Aníbal Gaviria and the Minister Luis Felipe Henao consecutively (both paisas). The balance sheet of this event exceed further than positively what the City expected. “A considerable number of people I have met tell what they have seen and experienced of Medellín, is better than they had read about” expressed Gaviria without ignoring the inequity problems the government still deals with (eltiempo.com, 2014). The Medellín’s letter or the agreement the WUF established for the City, not only underlines the best practices last administrations have picked up these years, as well as it becomes in a new seed which should flourish on equity and progress for all. Finally, I would like to invoke ideas from several romantic, creative and innovative people in diverse realms, so by working together realize “a new song” yet not for Medellín but for our Country, which long time ago have borne social diseases mostly because of the traditional politicking bias and its selfish behavior. Despite it has not interfered economic growth over last years, as a matter of fact it has eroded a sustainable hence healthy development of our nation. The formula for boosting such issues has been demonstrated upon Medellín and it is not incompatible to other regions. Let’s go then to compose the anthem that bind to Colombia. Bedoya, J. “Sergio Fajardo / Medellín, from fear to hope (Conference at TEC of Monterrey, Mexico)”. 08 Jul. 2013. Web. 14 May. 2014 <http://youtu.be/mlKz1GSsXpQ>. Foundation Loving Medellín and Antioquia. LOVING MEDELLIN. 03 Ap. 2008. Web. 27 Ap. 2014 <http://youtu.be/i47FgnG9Ye8>. Foundation Loving Medellín and Antioquia. Loving Medellín New Generation. 06 Nov. 2008. Web. 27 Ap. 2014 <http://youtu.be/vHjODATMxjY>. Fajardo, S. “Del miedo a la esperanza, Alcaldía de Medellín 2004/2007”. 2008. Web. 14 May. 2014. <http://www.reddebibliotecas.org.co/Libro%20Recomendado/Descarga%20de%20libros/Del%20miedo%20a%20la%20esperanza%20Capitulo%201.pdf>. La W Radio. Entrevistas W: Michel Arnau autor de la canción "Quiero a Medellín". 01 Mar. 2013. Web. 27 Ap. 2014 <http://www.wradio.com.co/escucha/archivo_de_audio/michel-arnau-autor-de-la-cancion-quiero-a-medellin/20130301/oir/1851369.aspx>. Medellincomovamos.org. “Quienes somos”. 2014. Web. 25 May. 2014. <http://www.medellincomovamos.org/quienes-somos>. Montoya Acevedo, M. El Mundo.com. “Un canto a Medellín y Antioquia”. 19 Jun. 2009. Web. 27 Ap. 2014 <http://www.elmundo.com/portal/pagina.general.impresion.php?idx=119600>. Proantioquia.org.co. “About Proantioquia”. 2014. Web. 17 May. 2014 <http://proantioquia.org.co/web/index.php/about-proantioquia>. El Tiempo.com. “El anfitrión y su balance final del Foro Urbano”. 10 ap. 2014. Web. 17 May. 2014. <http://www.eltiempo.com/Multimedia/infografia/forourbanomundial/ARTICULO-WEB-NOTA_INTERIOR_MULTIMEDIA-13816666.html>. Semana Magazine. Ap. 2014. Special edition: ANTIOQUIA, GENTE 1A. Publicaciones Semana S.A.
Urban Solutions Platform (2014, 11 de abril). “Joseph Stiglitz Conference (WUF7)”. 11 ap. 2014. Web. 20 ap. 2014. <http://youtu.be/BAodXvlGo9Y>. World Urban Forum - WUF7. Seventh session of the World Urban Forum Closing Ceremony. 2014. Web. 11 May. 2014. <http://wuf7.unhabitat.org/wuftv>. People from the region of Antioquia in Colombia. Sub-region from southerly latitude of Antioquia shaped by 10 municipalities where Medellín is located. Proud to be from Medellín. Michel Arnau, is a well-known publicist and impeller of the advertising wave from 70’s Colombian advertising. Subsequently he was the Chairman of DDB Colombia, the Multinational Advertising Agency. 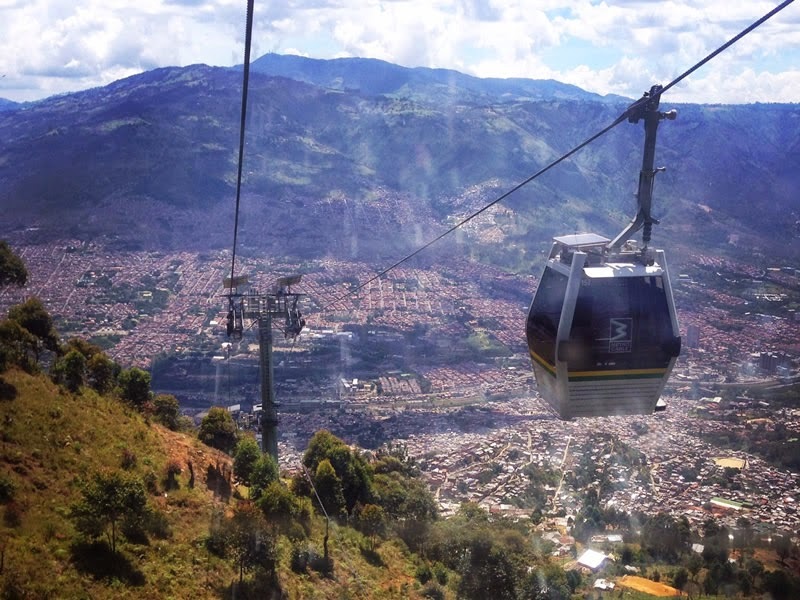 Introduced so by a Journalist in an interview the day Medellín won the award as the most innovative all over the world. Non-profit foundation that foster citizenship, ethics and democracy. Historian and Dean of Social Sciences at the University Jorge Tadeo Lozano (Bogotá, Colombia). Ex-minister of Culture, current rector at EAFIT University (Medellín), erudite of Antioquia’s History. Talk: The Role of Private Sector as Agent of Change.